You may have been updated to the latest Mac version El Capitan, but when you play MKV, MPG, VOB, AVI, WMV, FLV, VOB on OS X El Capitan, you will get stuck for the new Mac system doesn’t support opening and playing these video files well. How to resolve the video playback issues on Mac El Capitan? Actually, what you need to do is to encode these video files to Mac El Capitan most compatible format with a professional Video Converter for El Capitan. To convert videos on Mac El Capitan, you need a video converter that is fully compatible with the new OS X El Capitan. For those who don’t wanan spend so much time looking for a Mac El Capitan video converter, here the good suggestion is Brorsoft Video Converter for Mac. It is a great application that helps you to convert videos on Mac OS X El Capitan in an extremely easy way. 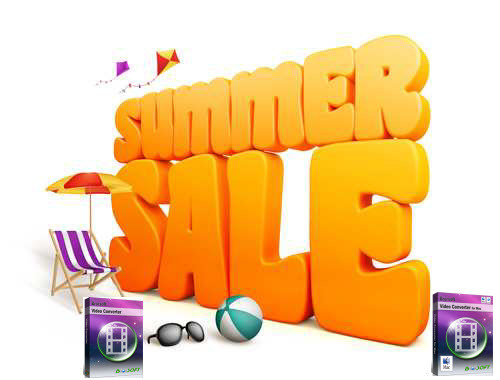 It enables you convert more than 70 popular video formats AVI, MKV, WMV, MPG, FLV, VOB, TiVo, MTS, MXF, etc to El Capitan supported MOV and MP4 with both rather fast speed and original quality. Besides converting between different video files, it is also capable of converting videos for directly playing with iPhone, iPad, Android, etc with the optimal presets on Mac OS X El Capitan. Aside from this, the built-in video editor also allows you to easily touch up the videos in a hassle free manner. Below is the step-by-step guide that shows you how to convert videos files to Mac OS X El Capitan compatible videos. 1. Add your source videos > Import source video to the best Video Converter for El Capitan by directly drag and drop. Alternatively, you can click Add button to load the video files want to convert. On the right windows, you can preview your files and take snapshots of your favorite movie scenes. 2. Choose Mac friendly format > Click Format bar and select “MOV” or “MP4” from the “Common Video”, which are fully compatible with El Capitan and Quick Time. 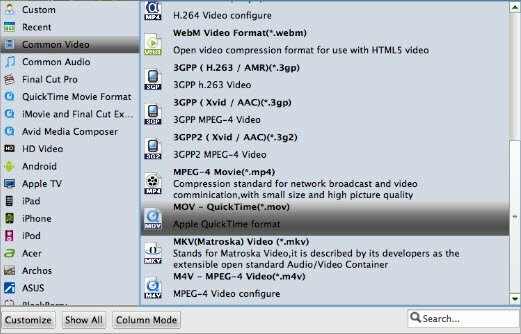 QuickTime Movie Format” format is also an optimal choice. 3. Start converting video on El Capitan > In the end, you just need to click the “Convert” button to start the conversion under Mac OS X El Capitan. When the converting process ends, you can open output folder to check and play converted videos on your Mac El Capitan with ease.